by Alan Caruba, Contributing Author: Imagine you wanted to get in your electric car and drive a considerable distance. It wouldn’t take long for your car to run out of power, so you would have to have another car, one using gasoline, to drive behind you to make sure you reached your destination. That’s a good reason to wonder why there is a Governors Wind Power Coalition in the first place. 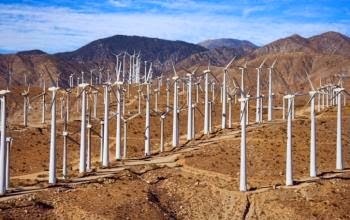 It consists of 23 Democratic and Republican governors from every region of the nation “working together to develop the nation’s wind energy resources”, but the nation doesn't need wind energy which produces an unpredictable amount as opposed to traditional resources such as coal. There isn't a single good reason for either wind or solar power in an energy powerhouse like the United States. They are both costly, unpredictable, and a threat to a number of animal species. Neither the science, the cost, nor the recent history of “renewable energy” provides a single good reason to force Americans to pay for this “green” failure. Tags: Alan Caruba, Warning Signs, President Obama, telling Renewable energy lies, lies, wind power, solar power, To share or post to your site, click on "Post Link". Please mention / link to the ARRA News Service. and "Like" Facebook Page - Thanks!